When our Reviews Editor offered me this album, I must admit I was somewhat perturbed by the thought of some Power Metal. However, dear Ed knows his reviewers rather well, and we in turn trust his judgement, hence me accepting the challenge. I'll give anything a go, and if it's exciting, oozes melody and hooks, and the lyrical content is engaging, I'll eventually succumb. Conversely, there are several Power Metal outfits that have impressed me over the years, namely Kamelot, Masterplan, Black Majesty, and (unbelievably) Therion. 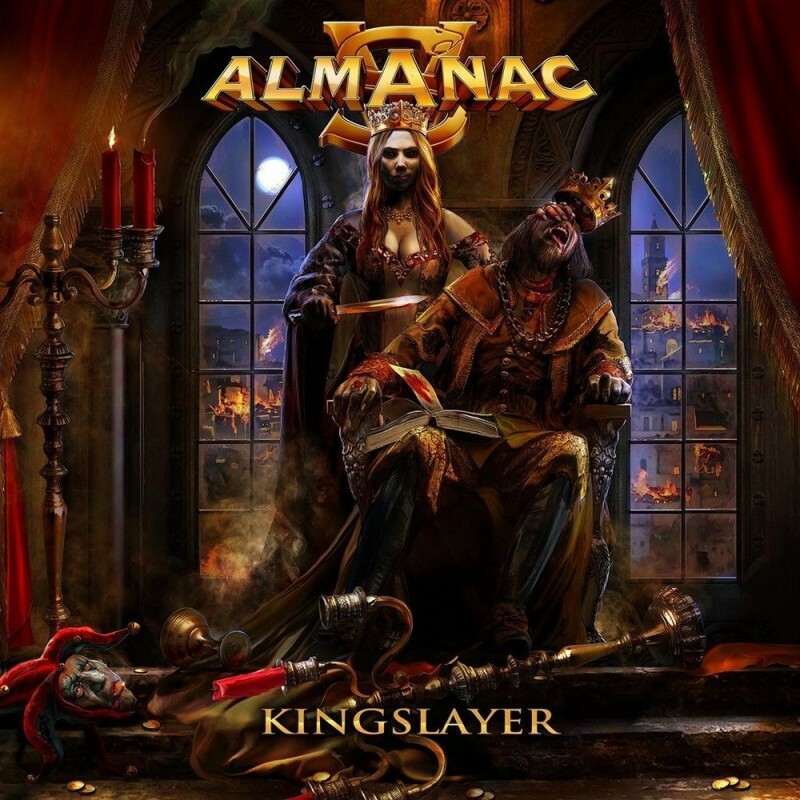 I can now add Almanac to that list as they offer everything I love about Rock music per se, and like those aforementioned bands, Almanac is much more than fundamental Power Metal; it's Symphonic Metal, Heavy Metal and Classic Rock all fused into one gargantuan soundscape. This is a real European affair comprising of members spanning Belarus to Burnley! Its founder member and brainchild is former Mind Odyssey and Rage axeman Victor Smolski (guitars, keyboards), and he is thunderously supported by new recruits Tim Rashid (bass) and Athanasios "Zacky" Tsoukas (drums). They in turn support not one, not two, but three vocalists in Andy B. Franck (Brainstorm), David Readman (Pink Cream 69) and Jeanette Marchewka (Lingua Mortis Orchestra) who gel seamlessly, creating a varied and scintillating vocal banquet. Prior to listening to 'Kingslayer' I purchased their debut opus 'Tsar' (2016) and was immediately agog by its power, melodious qualities and aggressive riffage (I'm a sucker for good riffing). 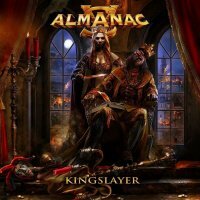 However, 'Kingslayer' has improved all aspects tenfold, and from the get-go the listener is carried along on a tidal wave of tempestuous tuneage. If I had to offer comparisons, I'd say that this composition is a forceful, explosive amalgam of Masterplan and Pink Cream 69. 'Regicide', 'Children Of The Sacred Path', 'Guilty As Charged' and 'Hail To The King' are a quality quartet of tunes that will take your breath away. They initially feel like "Rock Opera" material, but these are stand-alone, rousing tales from ancient history, predominantly concentrating on the demise of regal entities. 'Kingdom Of The Blind', 'Headstrong' and 'Red Flag' are three more frantically delivered ditties, while 'Losing My Mind' is reminiscent of Pink Cream 69 and 'Last Farewell' being a moody, stripped-back affair. Like the debut, 'Kingslayer' also comes in a wonderfully produced digi-book. When you factor in the phenomenal music as well... put simply, what are you waiting for? A rifferiffic release!